The unit comprises of a remote and a SHIELD controller. Both the controller and the remote have a dedicated mic button to give commands to the digital assistant. Google’s Assistant has been added as the latest feature on the Nvidia Shield TV. The unit also comprises of a remote and a Shield controller. Both the controller and the remote have a dedicated mic button to give commands to the digital assistant. According to Nvidia website it is best for the user to be three to five feet away from the controller. It will provide support to video streaming apps from Netflix, YouTube, Google Play Movies, and VUDU. The integration of the Nvidia and the digital assistant was announced in January this year at Consumer Electronics Show 2017. 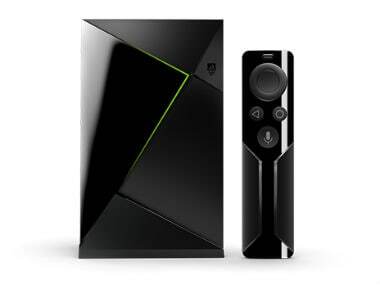 Nvidia Shield TV is an Android-based TV hub/console which brings the power of Android TV, PC gaming, and streaming content in one place. With Nvidia Shield TV, one can play traditional Android games as well as PC games with the bundled controller. The device is priced at $199.99, and it will now ship with Gaming controller and remote, and you no longer need to buy them separately. Nvidia Shield Pro will also be available later this month with the controller, remote, headphone jack and 500GB storage. Shield has added support to 4K HDR streaming. It provides support to video streaming apps from Netflix, YouTube, Google Play Movies and VUDU. YouTube TV app has come to the new Shield devices. Nvidia supports game streaming on the Shield via GeForce Now via a subscription service or from Steam and GeForce Now on your PC. There is also a dedicated store where you can purchase PC games that have been ported to Android specifically for Nvidia. This includes Portal and Half-Life 2.